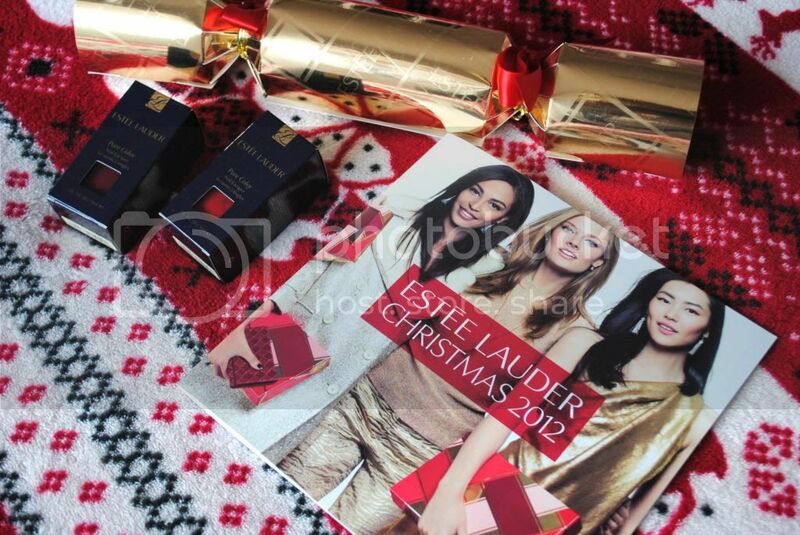 A while ago I attended Estee Lauder's Christmas event, and was lucky enough to get to take a peek at their new launches, including their new 'Red Hautes' nail collection for Christmas. As Christmas is very nearly here, I thought I would do a little review on the two polishes from the collection I was kindly given for attending the event. The Red Hautes collection comprises of five gorgeous shades of rouge; Beautiful Lair, Fallen Angel, Le Smoking, Love Bite and Pure Red. 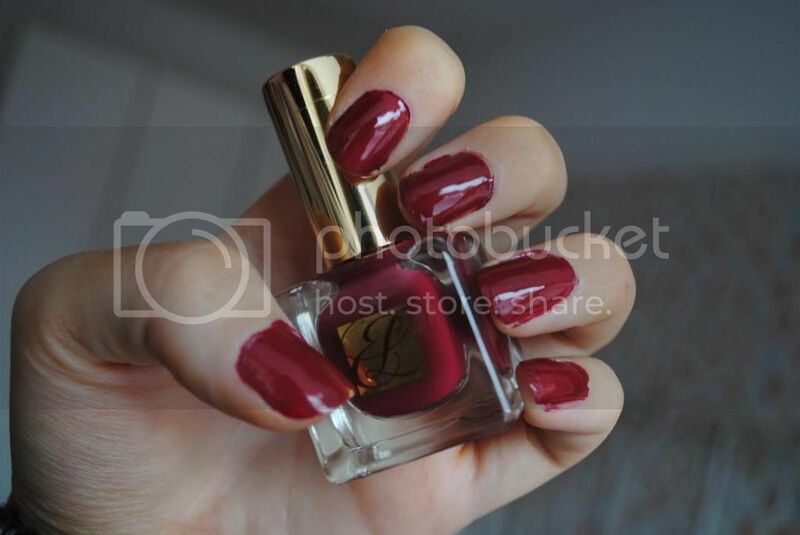 Each polish is unique in its own way - there are deep, dark reds, raspberry reds and bright scarlet shades. 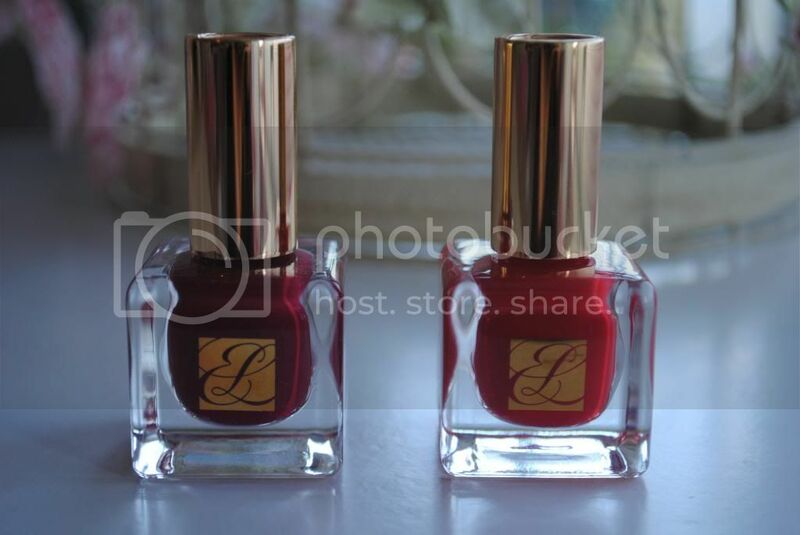 The two polishes I received were Fallen Angel and Pure Red. Fallen Angel is a deliciously deep, dark red. I always used to wear a colour similar to this growing up, when I had an infatuation with Gwen Stefani and her trademark scarlet talons. I still love it today though - it screams grown-up glamour and sophistication. Pure Red is a true, well, pure red. It doesn't contain a hint of any other colours or shades - it's a gorgeous, untouched red. I'd actually like to rename it Santa Red for Christmas as it is definitely a perfect Christmassy colour - just like Santa Claus's famous suit. I love it - it's made a perfect base for the Candy Cane nails I've been wearing recently. Definitely perfect for the festive season. I am in love with these polishes - as well as being truly beautiful colours, the formulation of them is flawless. Seriously, they are a dream to use. They glide on seamlessly and are seriously pigmented - the images above show them after only one coat. Seriously, that's all they need and you're good to go. They retail at £14.50, which is a tad steep, but this is Estee Lauder we're talking about, and they are premium beauty products which I think makes them worth the money. I'm really impressed with them and will be rocking both shades over the Christmas period. 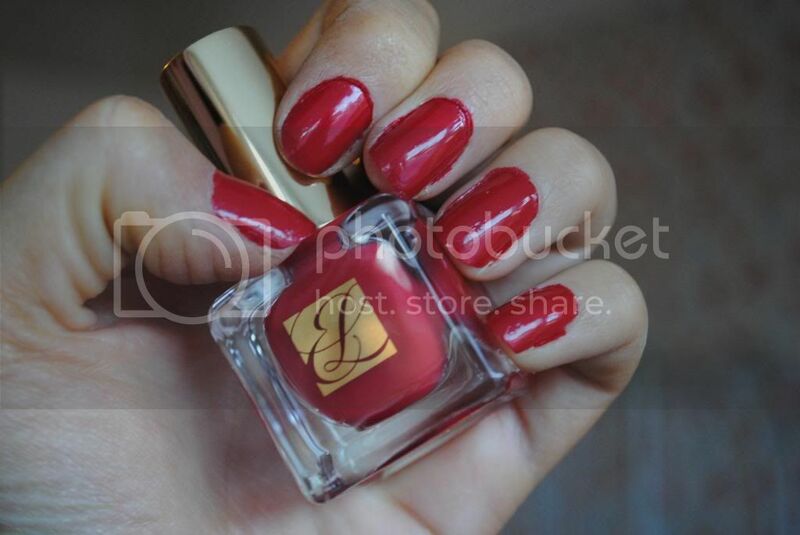 Have you tried Estee Lauder's polishes before? What did you think?